Death and love are the two pinions that carry the good man to heaven--Preston Roberts of Mountain Men flew away with the same wings on 24 July 2017. He was an adventurous man who loved touring Pisgah National Forest in his entire life who became famous for the Mountain Men TV series that he was acting on. This Mountain man also worked as an artist, woodsman, environmentalist, educator, and craftsman. As of all, Preston Roberts was a jack of all trades. How Much Did He Earn As Net Worth From The Famous Series, Mountain Men? Although the Mountain Men series for The History Channel TV brought him into the public's attention, he lived a low profile life in the better part of his life. The exact numbers of Preston Roberts' net worth and salary are not known. But the fact that even after his demise, a fundraiser had to be done to support his wife and family, satisfies that he struggled financially. 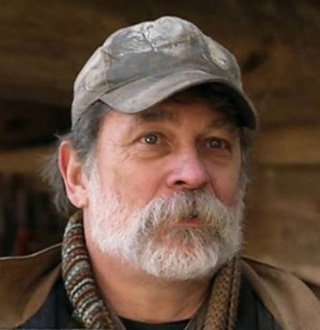 Born on 17 July 1957, Preston Roberts from “Mountain Men” was brought up in Brevard, North Carolina. As for his academics, he graduated from the Atlantic Christian College and later earned a degree in Art Education at Appalachian State University. Following his graduation, he went on to meet Eustace Conway in 1982 and became steadfast friends--they were together for a lifetime. Along with Eustace, he featured in the series "Mountain Men" and had also created the program Turtle Island Preserve. You May Like: Berniece Julien Bio: Married To Tyson Beckford, Gay Talks Causes Divorce? And after making his last appearance together with him in the sixth season of Mountain Men series for The History Channel TV, he sadly died on 24 July 2017, at the age of 60. Mountain Men Preston Robert Was Married To Wife Kathleen DuPont McGuire! Preston Roberts tied the knot with his wife Kathleen DuPont McGuire in 1975 in a monogamous marriage after dating her for some months. Following the marriage, he embraced his dear wife with lots of love – to the extent that he changed the saying, “behind every good man there is a woman.” to," beside every good man there is a woman.”--which expresses that how passionate and supportive his wife was to him. Kathleen and Robert share a family of three sons and their relationship never had any issues until his untimely demise. What Happened To Preston Roberts Of Mountain Men? How did He Die? Preston Roberts passed in the arms of his beloved wife Kathleen in the presence of his family. He died on 24 July 2017 due to liver complications caused by an inoperable tumor. The Mountain Men actor had been diagnosed with cancer that developed a tumor on his liver for a very long time. And later, the tumor caused a lot of complications in his body by preventing the flow of blood and oxygen. This had a negative impact in his health within three weeks after he was diagnosed, and later it was known that the tumor was inoperable. Hence, it became the fundamental reason for his death. “Thank you to everyone expressing support as I try to survive losing my best friend of 35 years. As for the Mountain Men series, it will be only featuring Eustace from now on. Coyote Peterson Wiki: Behind Adventure, Who Is Wife Of Wilderness Star?